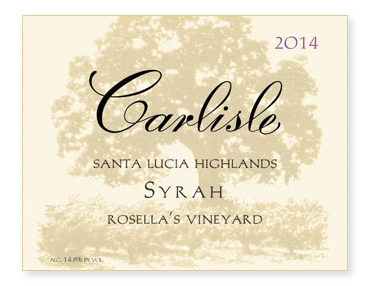 Indicating just how warm and early this vintage was, Rosella’s Syrah was picked on September 30th. Typical picking is closer to Halloween! As expected, the fruit was immaculate. We opted for 25% whole cluster, a slight reduction from previous years but still enough to provide that beautiful floral top note and some structure to the palate. Indigenous fermentation. Nineteen days on the skins. Given the concentration of the wine, we increased the new oak to 30% but chose cooperage that adds little in flavor and aroma, operating more purely on texture and mouthfeel. Bottled unfined and unfiltered.